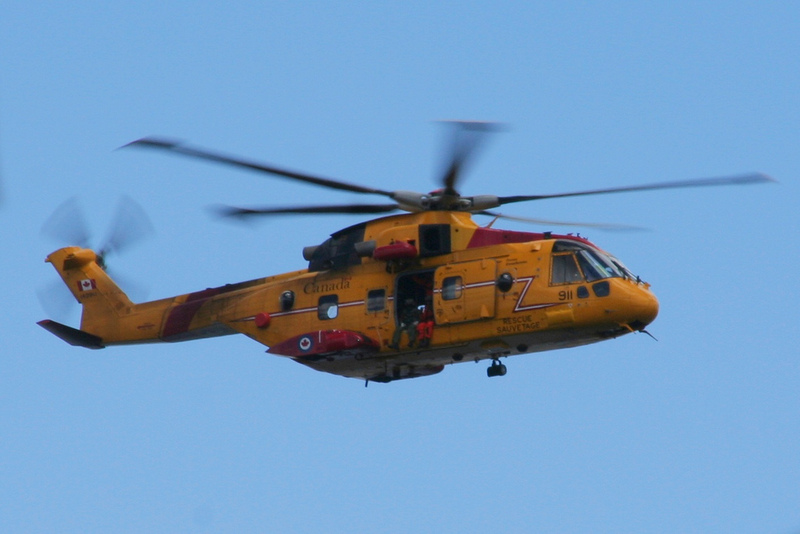 RCAF Cormorant – AKA the EH-101. used for SAR Services in Canada. Today’s Herald features a piece by Andrea Gunn about the possibility of civilian contractors filling gaps in SAR service. One of those gaps is the short summer season in the arctic. To date, the government has resisted stationing a helicopter in the arctic during the summer shipping season. They have claimed that this would be removing resources from other areas, and their simply isn’t the need for it in the north. Cougar S-92 lowering a SAR Tech. Cougar Photo. Given the relatively short summer season, Helicopter SAR services could be provided on a contract basis. Cougar Helicopters, who fly out of Halifax and St. John’s are able to provide contract all weather rescue services using S-92 Helicopters – the civilian version of the Air Force’s new Cyclone Helicopters. 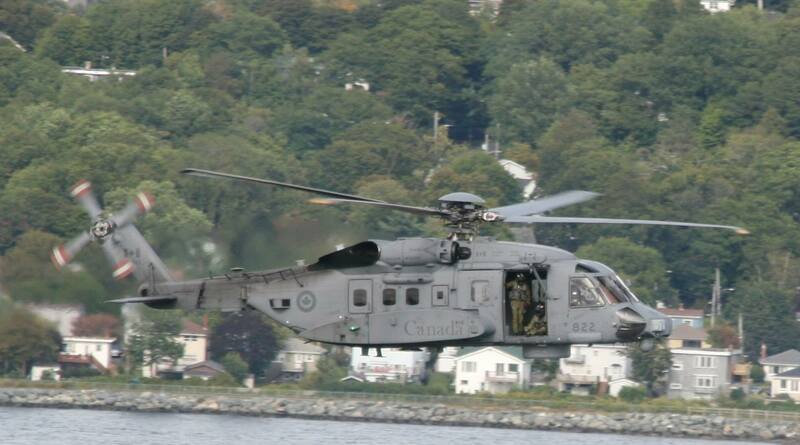 Cougar Helicopters offers this service commercially now, and regularly practices off Halifax. Nunatsiaq news reported that the much vaunted deep water Naval Station at Nanivsk, announced under the Harper Government, and has been slow to materialize – Construction started in 2015, and is due to be completed next summer. The port will serve as a re supply base for navy and Coast guard vessels. It would be a logical place to station Sar Assets. On August 29th, 2 men were rescued after their 11m sailboat “Anahita” became trapped in ice and sunk in the Bellot Straight. The Men were found on a ice flow, with warm clothes, food and water, and a life raft. They were rescued by the coast guard icebreaker Henry Larsen’s helicopter, after the closest ship was delayed due to ice. Two Inuit hunters were also rescued by the Louis St Laurent helicopter after a polar bear attack. A 2009 senate report identified increasing numbers of pleasure craft in the arctic as a source of significant risk, along with foreign vessels unsuitable for arctic travel transiting Canadian waters. Given the constrained supply of SAR Resources in existing areas – contract services should be considered. This entry was posted in Aviation, Safety on December 5, 2018 by Peter.